Amazing NEW Offer ! Very cheap backlinks ! I will create more than 100 HIGH PR BACKLINKS QUALITY Backlinks using blog comments with PR4 to PR1 from ACTUAL PAGE, not root domain ! These backlinks are nofollow but backlinks from high pr backlinks are very good and will increase your Google search engine results page to get more and free visitors from Google in natural way ! You can provide unlimited urls and unlimited keywords ! Delivery in about 5 days ! This is the cheapest service from Seoclerks for HIGH PR Backlinks ! Don`t miss the change to get another 1000 HIGH PR Backlinks for just $8 ! 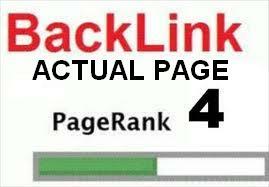 create 100 PR4-PR1 ACTUAL Page Backlinks High PR Backlinks is ranked 5 out of 5. Based on 228 user reviews.